On February 7, 2017 the Senate voted to bar Senator Elizabeth Warren from speaking during Jeff Sessions confirmation hearing, essentially telling her to "sit down and shut up." Senate Majority Leader Mitch McConnell said: "She was warned. She was given an explanation. Nevertheless, she persisted." 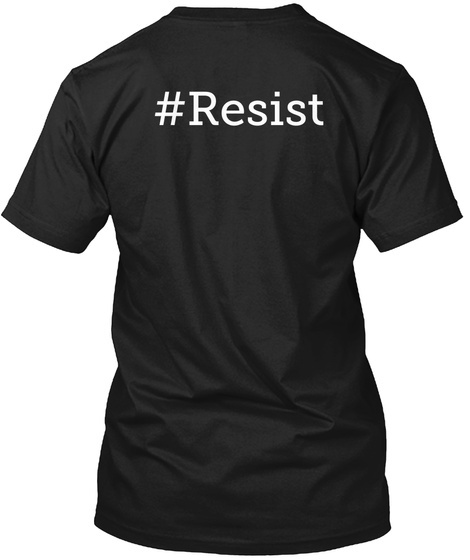 This tee has McConnell's quote on the front, and the large hashtag "Resist" on the back. A portion of the proceed from the sale of this shirt will benefit the ACLU.